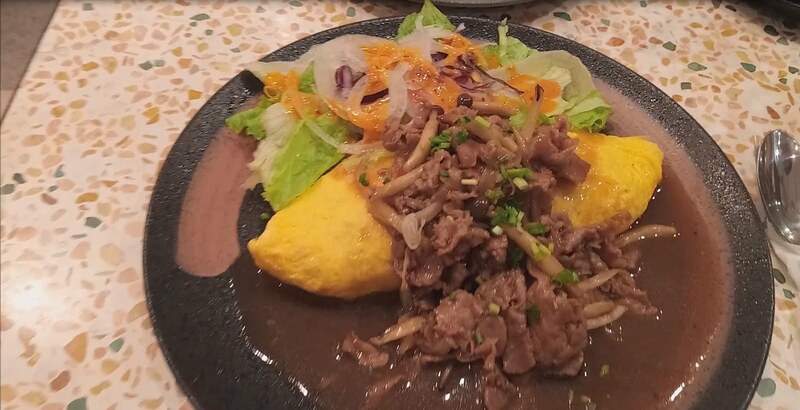 come with a flying ant. 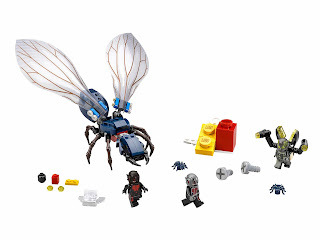 the ant has foil like wings, a head with pincers to lift yellowjacket and posable joints. 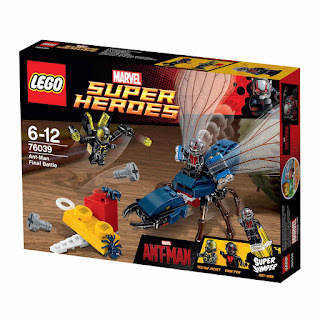 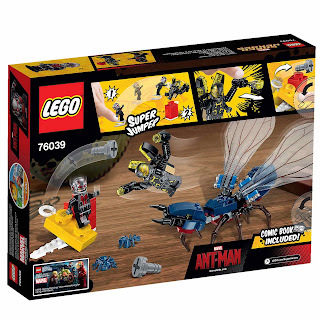 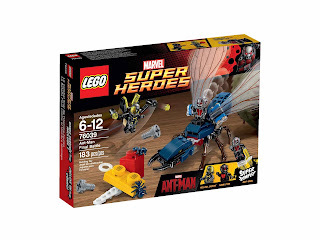 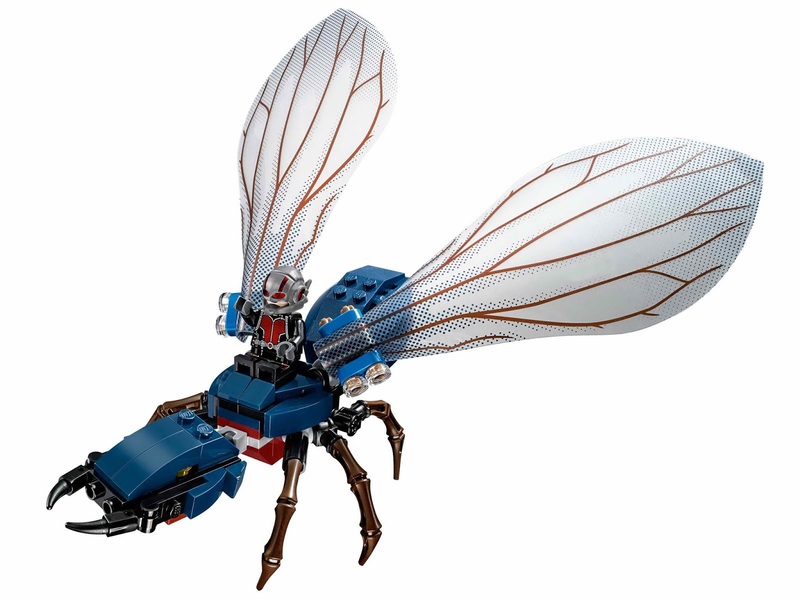 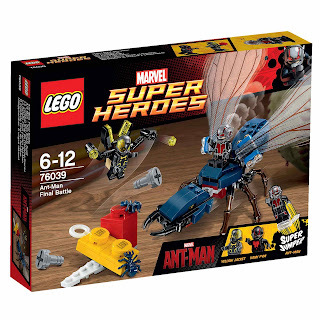 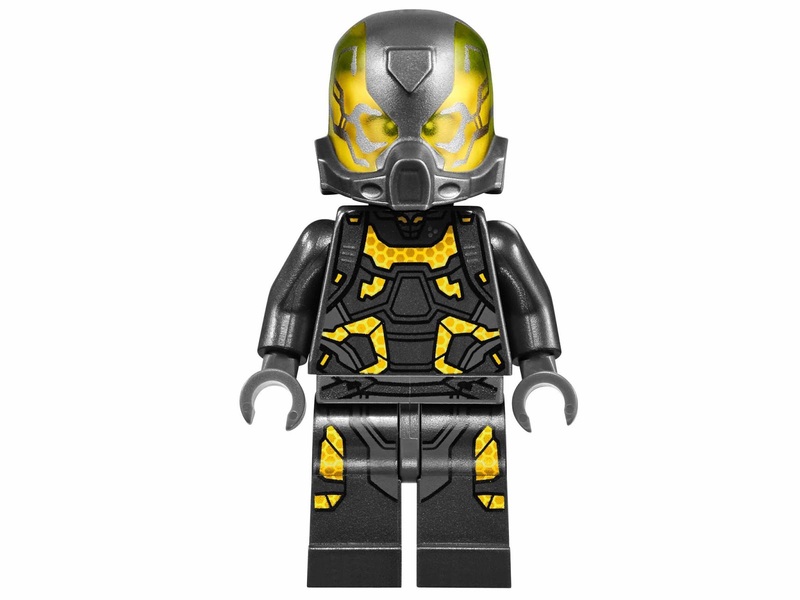 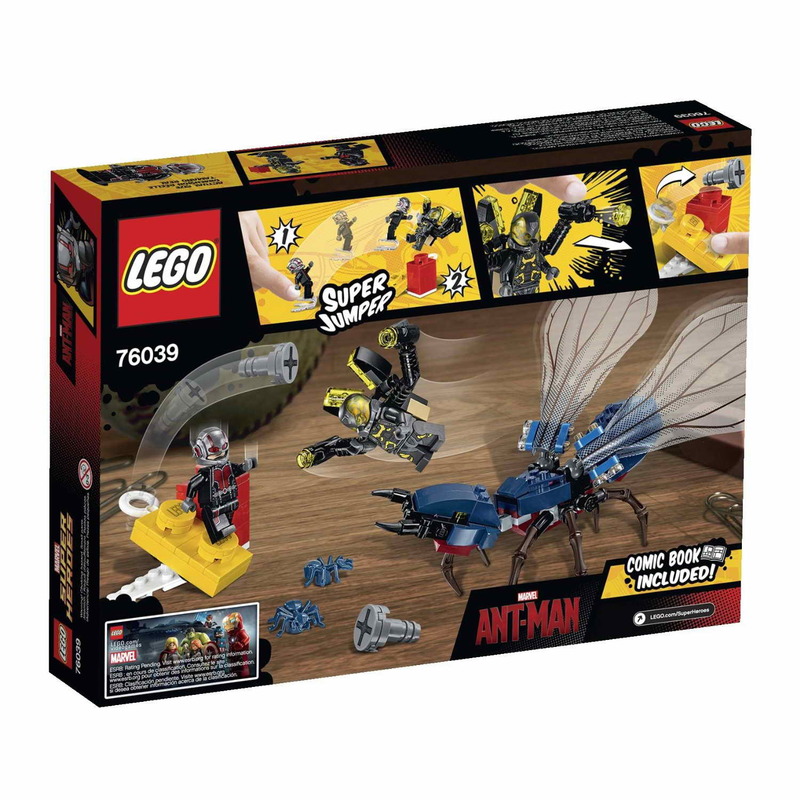 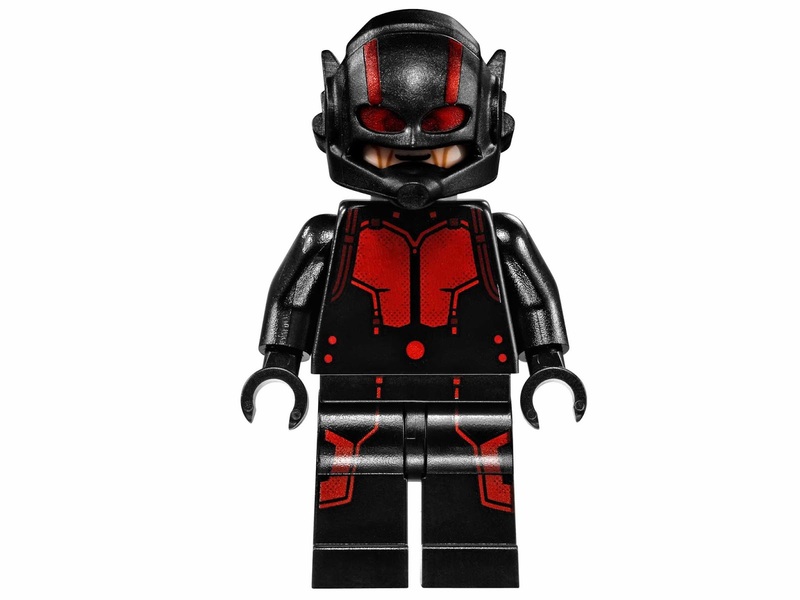 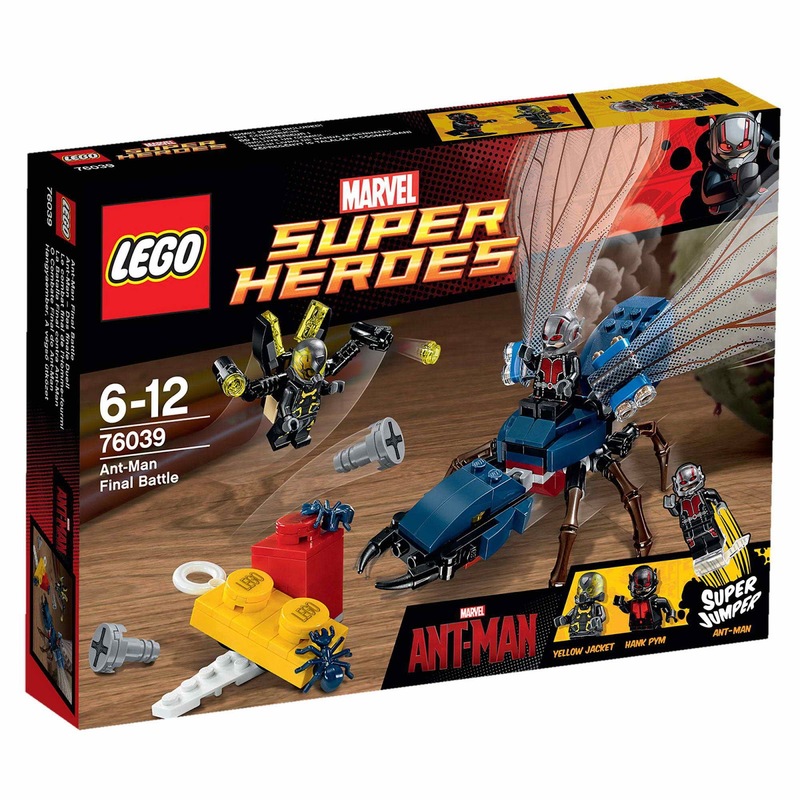 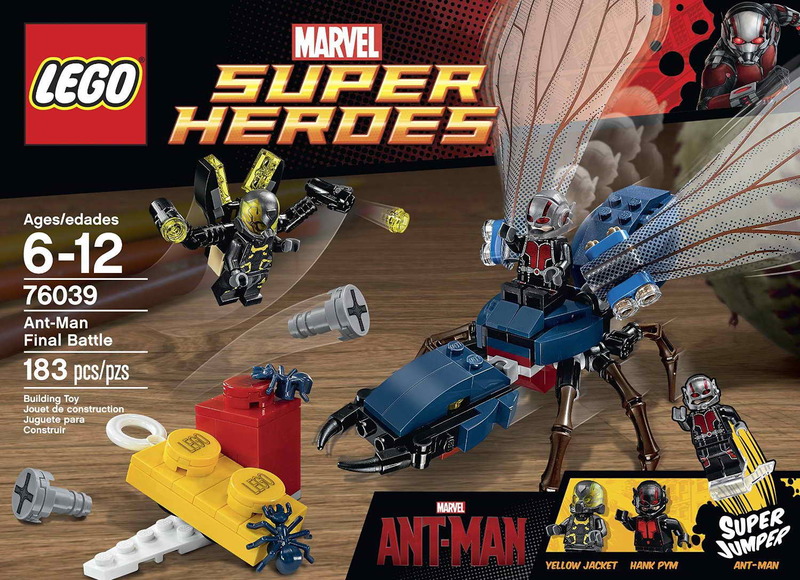 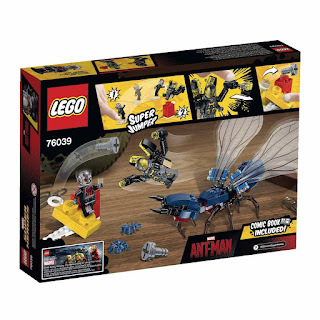 minifigs included an ant man minifig, a hank pym minifig and a yellowjacket minifig.